It is very easy to find an injection mould maker, the most simple and effective way is to participate in relevant exhibitions. You will be able to walk around and get a stack of business cards and collect leaflets. Combined my experiences, the key point should be 'appropriate' in choosing a plastic mould maker in China. Mechanical processing plants are varying quality. When purchasing higher-cost custom plastic moulds, how to identify reliable injection mould maker for your company? There are two complex situations to be avoided. One is not always focus on large-scale mould making factories. 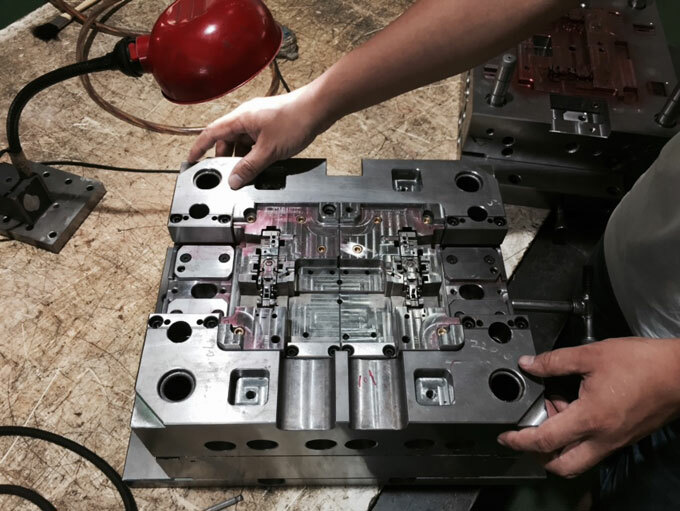 Larger injection mold making factories have better equipment and management, but tend to have relatively fixed customer market, and the moulded plastic parts are often more specialized. If the initial cooperation, open a relatively simple plastic mould only, and there is no large orders back to attract the suppliers, it can easily lead to the injection mould making company does not fit or simply refuse to cooperate with you. Even if the cooperation is achieved, it is difficult to control the schedule. The injection mould makers promise you to ship the products in a month, but their primary customers suddenly place a larger order, in all likelihood he will give you waste of time. Another complex situation is the selection of particularly small-scale plastic mould making factories. Some of these factories have little actual production but only outsourcing the job to anther cheaper Chinese plastic injection mold maker. This should be carefully considered, because quality and delivery are so difficult to ensure, and there even has the risk of money tricking. This principle is also based on your company's requirements. How much precision you need about the machining parts, how to match capability with the plastic mould making suppliers. For example, if you need injection moulds within precision of 0.01mm, the injection mold making factory that may be necessary to supply cut wire or wire walking EDM, even thermostat workshop in order to meet the requirements and have sufficient accuracy coordinate such inspection tools and equipment, in order to ensure the delivery time and quality. We must be personally inspected before the contract, in order to confirm it. Investigation of time may encounter a problem that the company may say that they do not have some of the equipment, so be secure, we must examine this second-tier suppliers. If possible, you can ask the plastic mould maker about the product effective, precision and similar products. But we must pay attention to the implementation, and don't blindly believe every words said by the injection mould makers. Before determining partnership, you should require the injection mould makers to detail the project cycle time and product processing nodes, such as how long is the communication of technology, and what should be done. How much time will be taken for cutting, roughing, finishing, heat treatment, grinding and other processes? Will each step forward be carried out immediately after the processing sequence can be, or need to queue (such as heat treatment, if the arrangement is not good, it can be a long of wasting time), or there is a delivery risk. After receive the information from the plastic injection mold makers, you should judge according to your own experience. The best & simple way is to ask some other China plastic mould makers, and then compare with each other. For pricing, on the one hand is to investigate the suppliers' cooperative attitude (really want to establish a partnership, or trying to cheat and run) and the ability to control the costs. On the other hand also investigate mould makers' proficiency in the industry, if all the costs have been reported, and whether the price is quoted objective. The commonly used method is to let the mould makers list the product cost structure. For example, a set of injection mould, how much is the raw material, machining, heat treatment, design development, debugging, sales charges, management costs, profit, etc. all these should be listed clearly. There are two benefits: 1. No one will suffer losses during making the injection mould; 2. You can see if the mould maker can give out a reasonable plan. On pricing, there is little to say that do not depress profits to the suppliers, or even let them losing money. Cooperation should be a mutual benefit between your company and the mold making company. During the mould making process, do not relax, especially when the plastic injection mould is very important, examine the situation of implementation of the project cycle and time node. If there is abnormal, you should immediately analyze the reasons discussed treatment remedies with the injection mould maker. Amerce contract is not necessarily effective for all time, good project management and control should be timely discover and solve problems and risks, rather than think of ways to retroactive compensation after the loss has been caused during plastic injection mould making. In March of this year, a Chinese local company found me and asked me some questions about making a custom plastic mould. I answered one by one. Before this, we had no contact, and have no understanding about each other. Then he suddenly told me that his company has a project needs to make a plastic mold, he thought I was professional and want my help, and asked if I would be interested. I did not entirely trust him, and as I believe it is the same to him. But whatever, I am willing to help. At the end of March he brought his product designers to see me. We ate a simple meal together, and then identified a number of details about the injection mould. Because the project is cooperate with Chinese university, so it was carefully tested and modified before mould making process. I also gave them some revised proposal. Because the product designer is difficult to consider whether the plastic mould is easy to make or not, the product is easy to injection or not. Sometimes I also help them to modify product plans, because I have knowledge of plastic mould designing, these are very easy for me. Later, the product demo needed to be remade. I modified the diagram and sent to the demo factory, after finished, the demo is directly sent to the customer. During our communication, I planned to take them to our injection mould making factory, I think we can meet the needs of the customer. And then I took the customer and product engineers to site visits. During this time, the customers have gradually learned to trust me. The customers do not understand much about the plastic mould technical questions, but he has very professional product engineers. 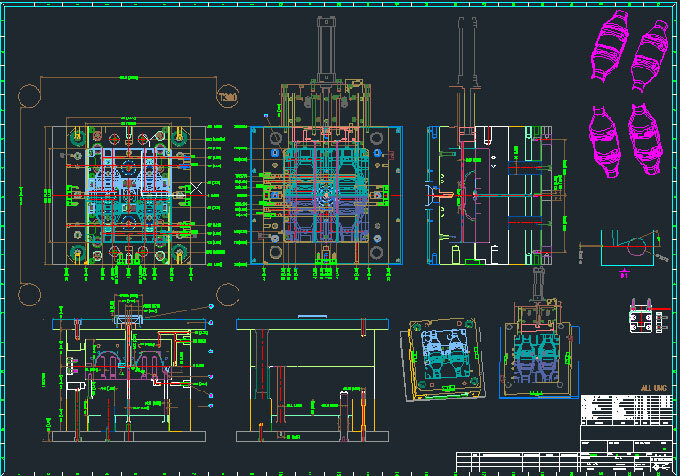 The engineers have a plastic mold design company in China, mainly supply for the overseas customers. The customer privately told me that I am the one who can help them. 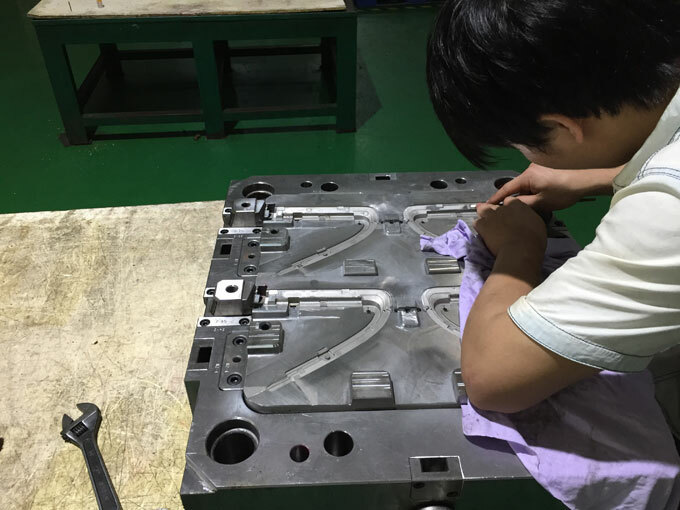 Later, the customer decided to select our company to make a custom plastic mould for them. In mid-December, the customer contacted me suddenly that the project is on the way, the next day he came and signed the contract and paid the money. 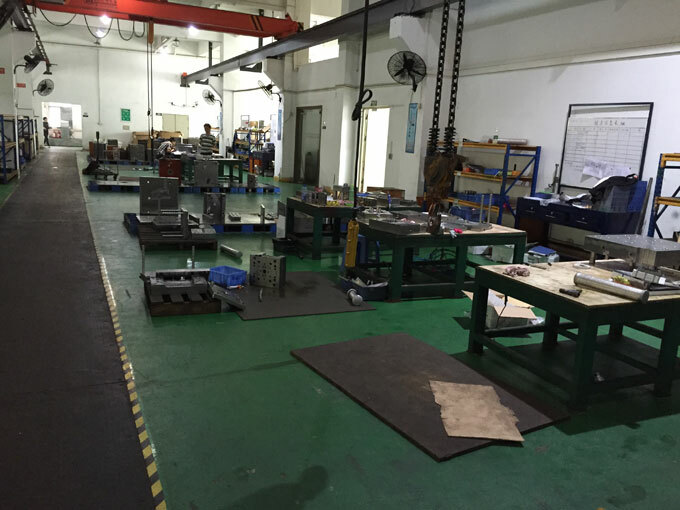 The injection mould is being manufactured and I would go to the factory to check the progress, and I direct discuss technical problems with injection mould makers, and then summary the results to the customer. Relevant details as related to the privacy of the customer and will not be disclosed.